The Feast/Festival of FIRST FRUITS usually comes about half way through the Feast/Festival of UNLEAVENED BREAD, that is to say 3 days later. There is proof in the Holy Biblical Scriptures that YAHUSHUA HA MASHIACH rose from the dead on FIRSTFRUITS and not the so-called Easter!!! Well, it has a lot to do with giving the best of the best to YAHUVEH ELOHIM! In this teaching, we look at the relationship between The Feast of FIRSTFRUITS and The HOLY RAPTURE/HARVEST as they are prophetically very closely related. Following YAH’S Calendar is so useful to mankind most especially those who genuinely believe in and faithfully follow YAHUSHUA HA MASHIACH because with in it, YAH has hidden so many secrets to understanding HIS WAYS and Divine Plans for us. YAH’S Calendar always points to something that HE would like us to work on, work towards, etc. 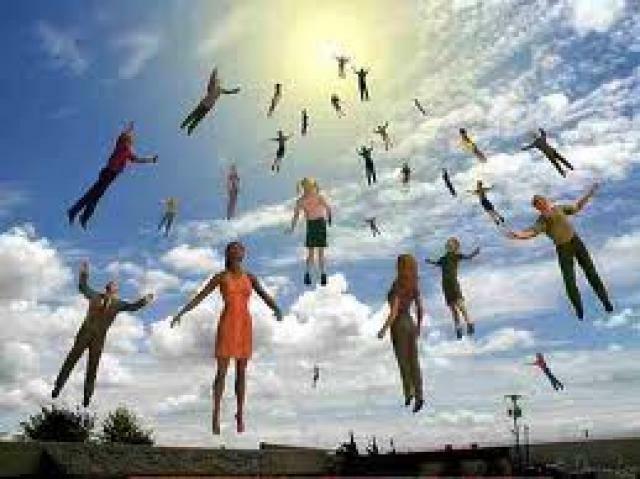 I say “HOLY RAPTURE” because there will be a false one which will precede the HOLY RAPTURE. This has been revealed through YAH’S Amightywind Ministry. Note that the Holy Rapture is referred to as The GREAT HARVEST by YAHUSHUA HA MASHIACH! Matthew 24 and various other scriptures give more information about this. YAHUSHUA HA MASHIACH (a.k.a JESUS CHRIST/YESHUA) was crucified on the First Day of the Feast/Festival of UNLEAVENED BREAD (a time to remove leaven/sin/pride) from our lives, which is PESACH/PASSOVER. HE died three hours later on that very day and then buried by a man called Joseph (who by the way went into hiding after the burial) in time for the PESACH SEDER time. YAHUSHUA HA MASHIACH stayed in the grave from the fourth day of the week (now known as Wednesday) evening to the seventh day of the week (now known as Saturday) evening. YAHUSHUA HA MASHIACH rose from the dead or resurrected on the Feast/Festival of FirstFruits which was 3 days later. It has been revealed by YAH/ELOHIM (a.k.a GOD) through HIS Amightwind Ministry that YAHUSHUA HA MASHIACH will return on a Shabbat/Sabbath to catch away HIS beloved Bride and Guests who have made themselves ready for HIM to the Heavens so as to escape YAH’S Judgement, that is to say the Great Tribulation. We know not which one! YAHUSHUA HA MASHIACH was the FIRST FRUIT of death as HE conquered Satan, Sin and Death! HE arose on the Festival of FirstFruits. Just as YAHUSHUA HA MASHIACH was and still is YAH’S very FirstFruit, so will HIS Beloved Bride of Revelation 14 be from among the peoples of the earth. Those who have already passed will also be called forth to join YAHUSHUA HA MASHIACH at HIS future Wedding/Marriage Feast/Supper. You should desire to be a FIRSTFRUIT from the earth! In order to do so, there are some steps you need to take. Our teaching called “BRIDE or Church of YAHUSHUA?” will give more information to you on this. The sun is going down in Scotland on Sunday 1st April 2018. I know it has already gone down in some parts of the world. As Easter is coming to an end, The Feast of FIRSTFRUITS is about to start here and has already started in other parts of the world. YAHUSHUA HA MASHIACH rose again from the dead as the FIRSTFRUIT! 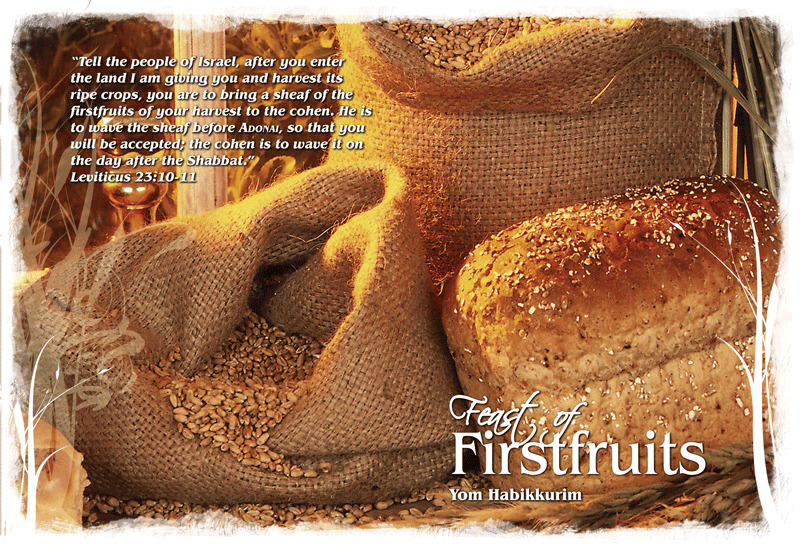 YAHUSHUA’S Resurrection was a FIRSTFRUIT OFFERING unto HIS ABBA, YAHUVEH (a.k.a YAHWEH)!!! You too can be YAH’S First Fruit in the not so distant future. All those Wise Bride/Virgins who will be raptured/harvested at the beginning of the Great Tribulation are considered to be the First Fruits after YAHUSHUA (Revelation 14; Matthew 25:1-14. Praise YAHUSHUA HA MASHIACH who is the RESURRECTION AND THE LIFE!!! Through HIM, we receive life and new birth. We are no longer spiritually dead!